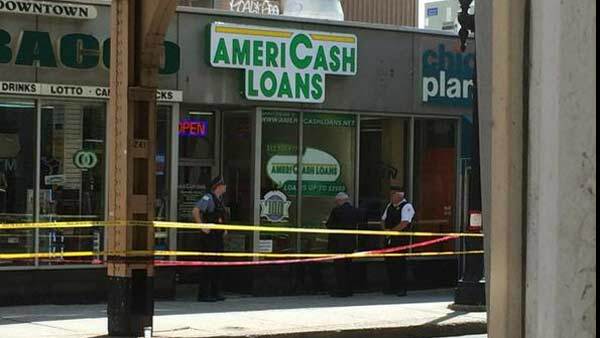 CHICAGO (WLS) -- The AmeriCash Loan business that was the scene of a murder-suicide last week has released a statement suggesting that its manager, the victim of that shooting, did not follow company security measures. Alma Hernandez, 44 was shot and killed last week inside the Loop store she managed. Police say her ex-boyfriend, Richard Idrovo, shot her then turned the gun on himself. AmeriCash released a statement calling her murder of "a profound loss. " The company also said, "It is still unclear why Alma chose to circumvent the security measures that were in place, by leaving the safety of the back office - which is protected by security glass and armed with a panic button - to address him in the lobby. Regrettably, that decision placed her in fatal danger."